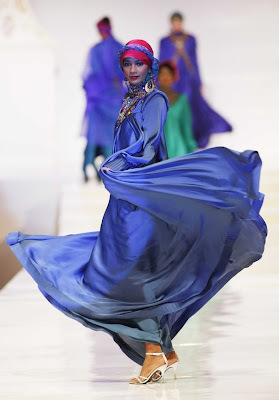 Following on from Day 1, here are more beautiful designs from the Islamic Fashion Festival this year in Jakarta. 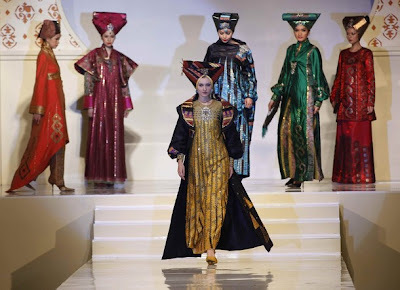 Masha-Allah !! Loves the colours! 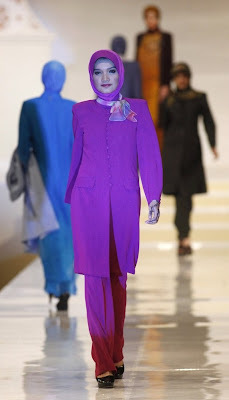 It proves that wearing hijab doesn't mean you can't be fashionable at the same time. Loose attire yet elegant! 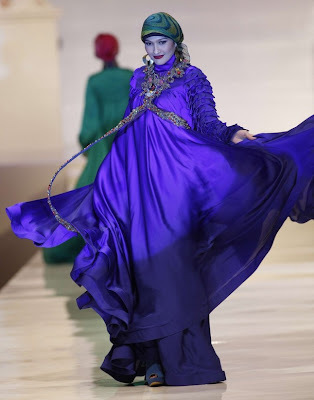 Those silky billowing dresses from Malik Moestaram! 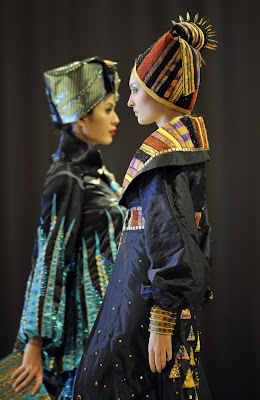 THE HEADGEAR ON ARIFAN MAS'S MODELS TAKES ITS INFLUENCES FROM THE MINANG REGION -INDONESIA. 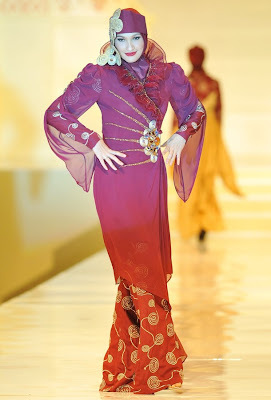 HAD I BEEN MARRIED IN MELAKA, MALAYSIA -I WOULD'VE ALSO HAD TO WEAR THIS HEAD GEAR AS PART OF THE WEDDING RECEPTION. 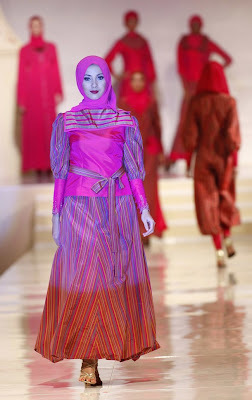 LOVE THE TEXTURED ABAYAS. Hi , I'm so sorry I just saw your comment now. 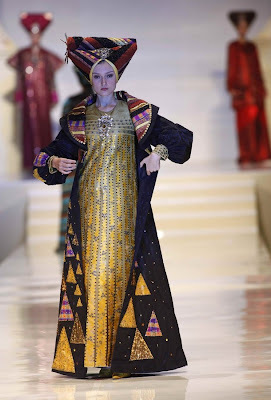 I do know a few home-grown egyptian designer . and Malak Ezzawy , I don't know if she has a website.